Ibrox Noise: Are these the true stars of Gerrard's Rangers? Are these the true stars of Gerrard's Rangers? Gedion Zelalem, Andy Halliday and Jason Holt. At one point in the past under Mark Warburton’s infamous 4-3-3 that was Rangers’ first choice midfield. A guy who can only get a game for Arsenal’s U23s and barely could for a second division Dutch side, and a guy whose best move was Fleetwood Town on loan. Credit to Andy Halliday – his versatility has made him a curiously key figure for Steven Gerrard, but he’s hardly first choice. Lassana Coulibaly, an outstanding Mali international from Ligue 1. 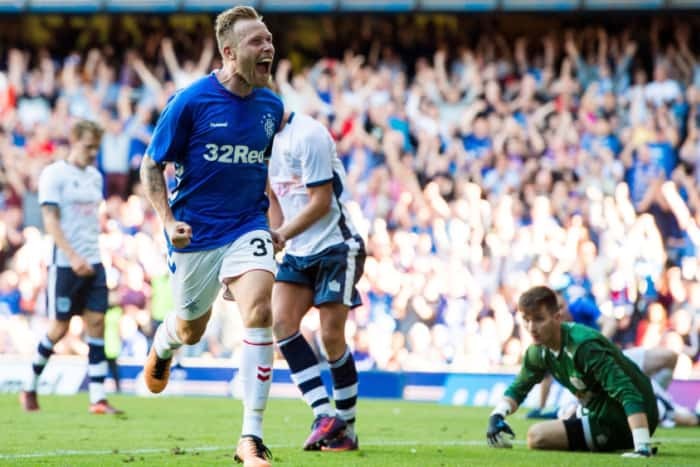 Scott Arfield, an outstanding Canadian international from the English Premier League. Ryan Jack, an outstanding Scotland international ex-Aberdeen captain with his best years ahead of him. To look at the upgrade between these regimes is beyond night and day. It’s beyond earth and moon. Rangers now have a truly Rangers level midfield, and last night it wasn’t even full strength – comparing it to the disaster of Warburton’s SPL midfield is equally as comical. Joey Barton, Niko Kranjcar and … yeah, Halliday again. We’ve only been furnished with our first-choice midfield once, and that was v Aberdeen – and look how it bossed things. It’s the first time since the days of Edu and Davis that we actually appear to have a midfield as good as that again. Furthermore, in reserves we have Ross McCrorie, Jordan Rossiter, Ovie Ejaria and technically Greg Docherty (albeit out on loan). This is the level of depth Rangers should have, and when we watch Arfield, Jack and Coulibaly do their thing, it only reminds us how bad it used to be. These guys are so much better than any of the past 3/4 years as you say since Stevie D and Edu ...Its no fluke as the whole Management Team put it all together with solid backing from the board . I am trying very hard to keep my feet on the ground - but they are really not making it easy!! Hi, we admired his attitude too but he’s not good enough to be a squad member. If you disagree we respect that. Holty - Where do I Start? would Literally Scrub the Toilets at Ibrox if The Club asked him to. And I am a Fan of The Pair of Them.